With the increasing need for better coffee, the French press coffeemaker has become one of the most popular in the world.. Bodum Chambord French Press lets the coffee beans develop their fullest aroma by preventing scorching of the beans. And there’s no filter involved, means more flavor without waste. Great gift for any coffee lover. 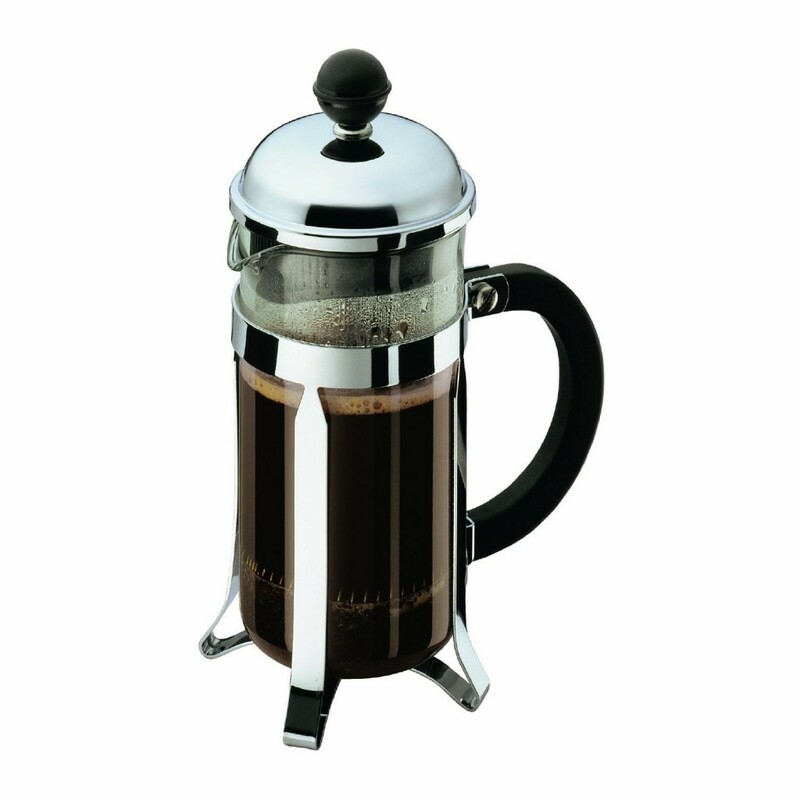 Easy to use, easy to clean and makes great coffee, the Bodum Chambord 4 cup French Press Coffee Maker is great for any coffee lover. It comes with durable stainless-steel frame and heat-resistant borosilicate glass beaker for both style and durability. It requires no paper filter, which means the coffee bean’s essential oils go directly to your cup and there will be no waste. Dishwasher safe for easy cleaning. 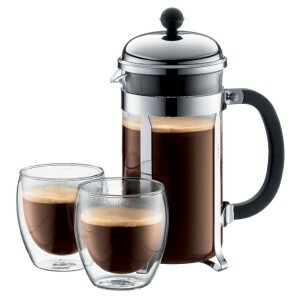 You will enjoy the best cup of coffee you have ever tasted with the Bodum Chambord 8 cup French Press Coffee Maker. This 8-cup, 34-ounce French Press serves 2-3 people. It comes with stainless steel frame and heat resistant handle and heat-resistant borosilicate glass carafe for durability. With 3-part stainless steel mesh filter, the unit will extract your coffee’s aromatic oils and subtle flavors. All parts are dishwasher-safe for added convenience. 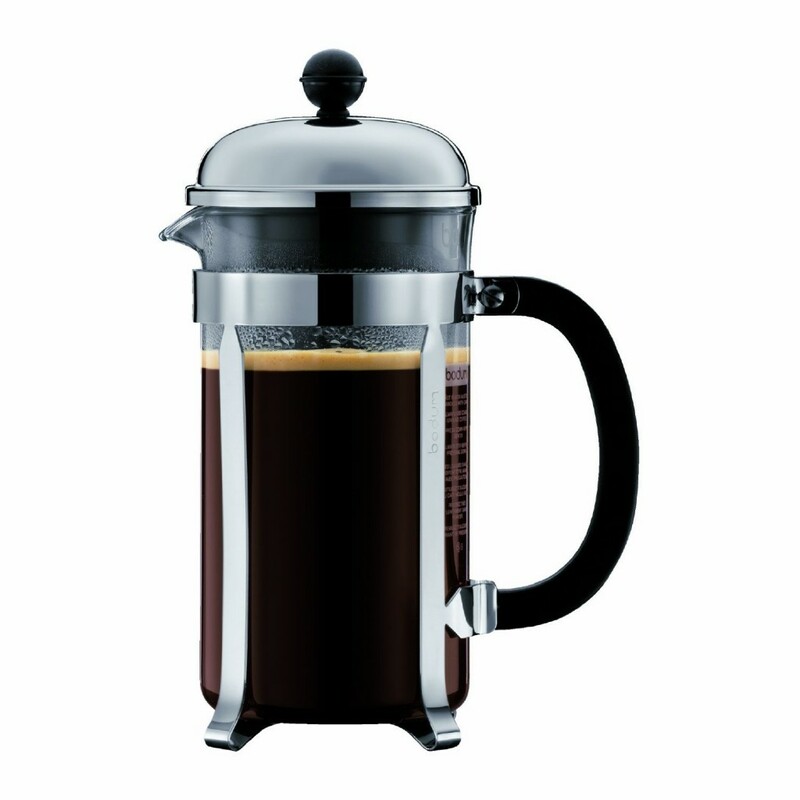 Brew your coffee in a simplest and quickest way with the Bodum Chambord 3 cup French Press Coffee Maker. 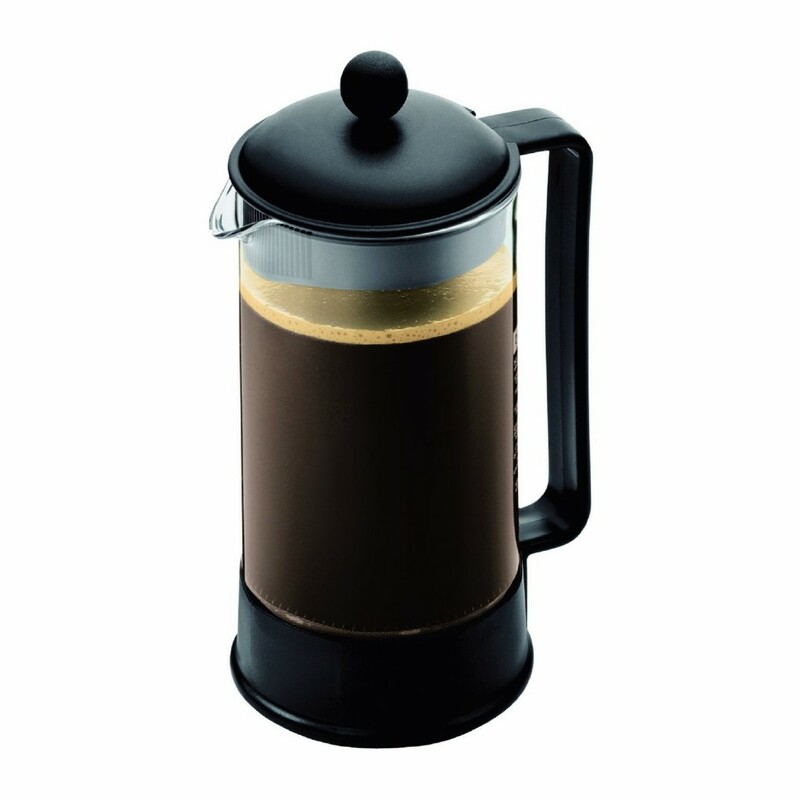 This 3-cup, 12-ounce French Press is perfect for a single serving. It comes with 3-part stainless steel mesh filter, helping extract your coffee’s aromatic oils and subtle flavors. The carafe that is made of durable, heat-resistant borosilicate glass. Dishwasher safe. 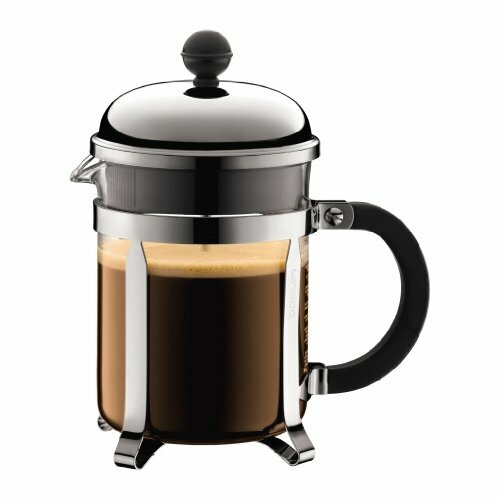 Let the coffee beans develop their fullest aroma with the help of this Bodum Chambord 8-Cup French Press Coffee Maker. 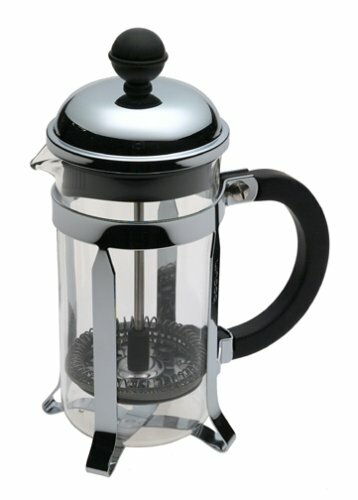 This french press features a new design that allows lid to close off spout to prevent spilling and better temperature control. There is a 3-part stainless steel mesh filter to help extract your coffee’s aromatic oils and subtle flavor. Its borosilicate glass beaker is ultra-light and heat-resistant for better performance. Now you can brew flavorful coffee easily and quickly in 4 minutes with this 3-Cup French Press Coffeemaker. It comes included with a shatter resistant, BPA-free, SAN plastic carafe and 3-Part stainless steel mesh filter allowing for a premium extraction of your coffee’s aromatic oils and subtle flavors. The patented lid prevents splashing of liquids while pressing for safety. In addition, there is no paper filters required, means more flavor without any waste.